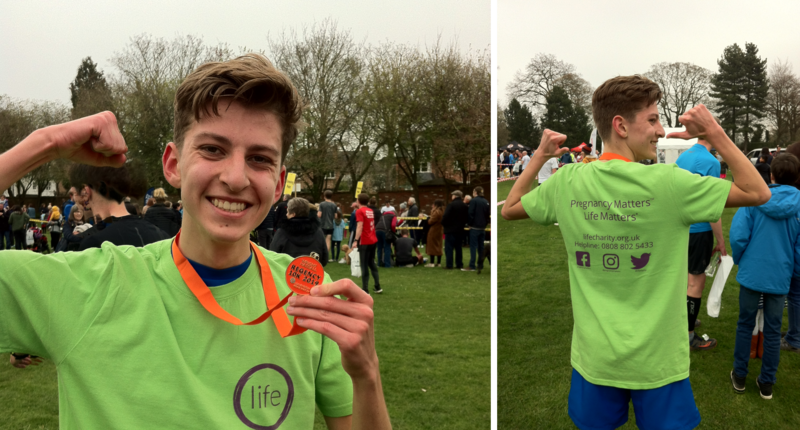 Link One offers our congratulations, thanks, and three cheers to Dominic, a student fundraiser, who raised £710 for Life at yesterday’s (7 April) Leamington 10k Regency run in the face of opposition from his peers. Dominic was inspired by a Life Matters® talk at his school to fundraise to support the work we are doing. He launched a Justgiving page and sponsorship form. Yesterday saw Dominic at the 10k Regency run. With sponsorship of £710 in online and offline donations, far exceeding his original target of £250, Dominic ran the 10k in 42 minutes and 30 seconds! Dominic, your courage, determination, and graciousness in the face of opposition reflects the highest standards of Life and the prolife movement. Thank you. Would you like to contribute to our blog? Please note: We reserve the right to delete comments that are antagonistic, offensive, or off-topic. If in doubt, read our comments policy.